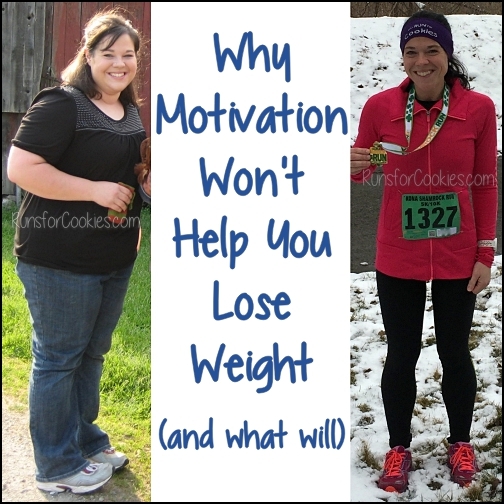 Runs for Cookies: Weight Loss Success: How Caitlin Lost 240 Pounds! My friend Caitlin from Boston (who I mention frequently on my blog) is in town this week for Thanksgiving. She and her boyfriend, Joe, are visiting Joe's brother, who lives just outside of Detroit. Once Joe heads back to Boston, Caitlin is going to come stay with me for a few days to visit. Last night, Joe and Caitlin came down to go out to dinner with Jerry and me. 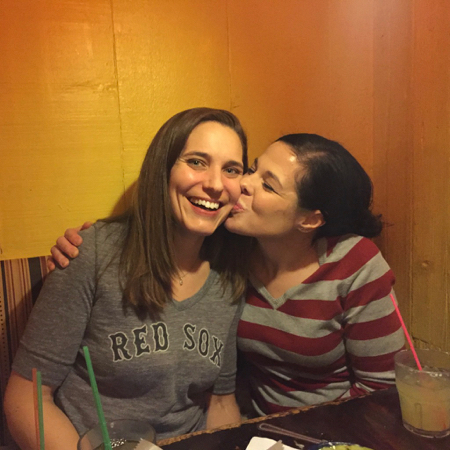 We went to El Camino in Toledo, which has amazing food and even better margaritas. I haven't been drinking much this year, but I cannot pass up margaritas from El Camino! 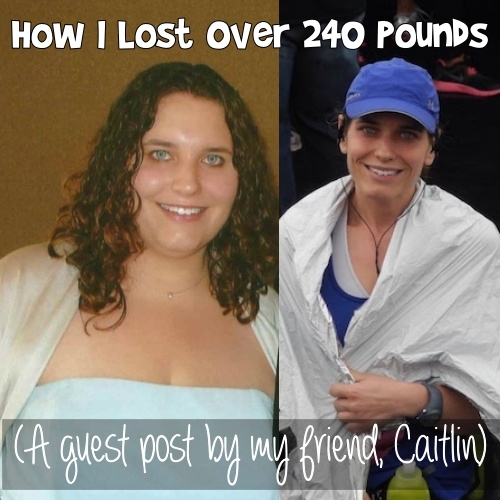 I posted a photo from last night on Instagram with a caption mentioning that Caitlin lost 240 pounds, and a few people asked about her story. I posted her story back in 2013, right after I'd met her in person; but since it's been so long, I thought I'd share it again with an update. First, I have to say that Caitlin is probably the sweetest, most humble, generous, and kind person I've ever met. I am always telling her that she needs to do stuff for herself more, because she puts everybody else in her life first. I met Caitlin through my blog in 2012. She had written me an email, and mentioned that she lost "well over a hundred pounds". 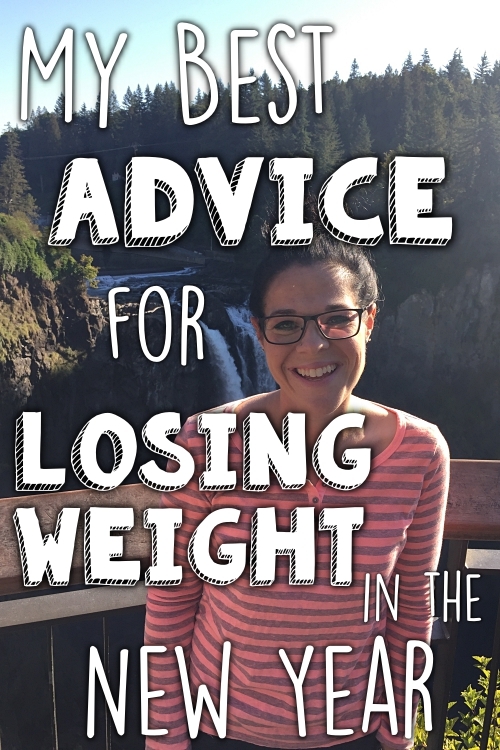 It wasn't until a year later that I met her in person in Chicago (when I ran the Chicago Marathon) and learned that "well over a hundred pounds" actually meant "240 pounds"! When she said the number, I asked her to repeat it, because I thought I heard her incorrectly. 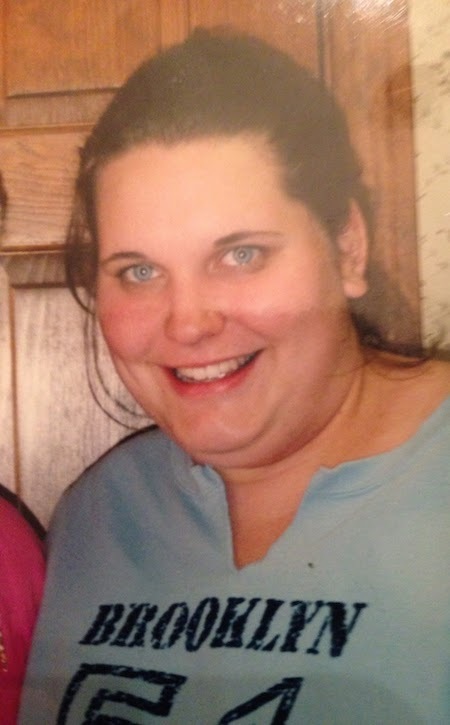 "In August 2009, I weighed close to 400 pounds. Not many people in my life know just how heavy I was; looking at me, they could tell I was big, but I never let anyone know the exact number. Even now, I really don't want to write it: 383 pounds! For as long as I can remember I had been overweight. I remember feeling self conscious about it starting in 4th grade. I played sports when I was younger, so even though I was heavy, I was not obese. I stopped playing sports in middle school when some of my friends told me that I ran "funny", and would never be able to make the cut for the high school sports teams. So I went from being somewhat active to pretty much totally sedentary, other then the dreaded gym classes at school. There was no medical reason for my weight; I just ate too much, and didn't move enough. I have always enjoyed cooking, especially baking, and loved to eat the fruit of my labor. In high school, I went on my first diet--a self-created one of far too few calories and way too much exercise. I dropped over 30 pounds but quickly gained it back as I was miserable and hungry all the time. Throughout high school, I tried different diets and had a gym membership I used sporadically, but I continued to gain weight. When I graduated high school, I was a size 22/24. I couldn't tell you what I weighed, because I refused to get on a scale. I went to my college orientation and remember being so embarrassed about my size. I have always been shy and more of an introvert, so I had trouble meeting new people, and my weight made it even worse. I overheard one of my roommates saying something about how she knew she would be stuck with the "fat, pathetic girl". I decided not to attend that college and took a year off. In that year of staying home, while all my friends from high school were away at college, I gained even more weight. I didn't know what to do with myself outside of a part-time desk job. I attended a college closer to home, so I could commute and avoid a lot of the social situations that made me so uncomfortable. I knew I was eating too much and I knew I was far larger than most people (including my four brothers!). Other members of my family struggled with their weight; but I was, by far, the largest. 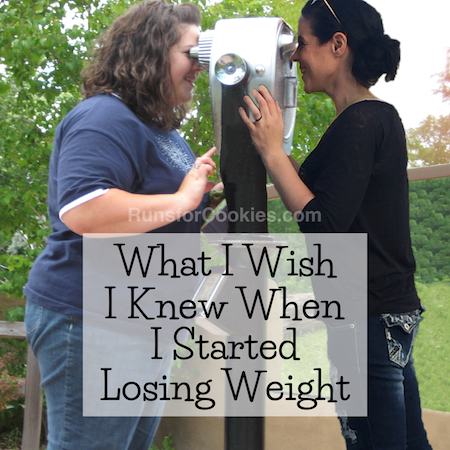 I tried different diets; I would join--then quit--the gym; and I remained miserable. I was in my 20's and supposed to be out living my life but instead I was hiding from everyone I knew. I wouldn't even attend most family events because I was so ashamed of myself. There was no big "Ah-ha" moment for me, and no health crisis, but in August 2009, I decided I had to change my life; otherwise, I would never change. I changed my diet, but rather than a radical overhaul, I decided to make gradual changes. I set my daily calorie limit to 1400 and stuck to it. I totally eliminated soda--I had been drinking 4+ cups a day. I did not want people to see me exercising so I bought the Biggest Loser DVDs, and would walk in a cemetery near my home. I knew working out at the gym did not work for me. Over the first five months, I lost over 60 pounds and had worked my way up to walking 8 miles every single day. I wanted to incorporate more vegetables into my diet; I ate a salad every night at dinner and had lettuce and onions on my sandwich for lunch, but thought I could include more. I starting cooking (and still do) things like Quinoa Zucchini Casserole, farro with ground turkey and vegetables, or homemade chicken vegetable soup with healthy grains like wheat berries, brown rice and farro rather than pasta. I came up with a rotation of healthy meals that I loved--I cook a big batch, divide it into servings, and have my meal ready all week long. Throughout 2010, I continued my daily walking, DVDs, and added weight lifting routines I had found in various fitness magazines. I also started to incorporate brief bursts of running in my walking--making sure the no one was around when I did, because the comments from my friends still echoed in my head. 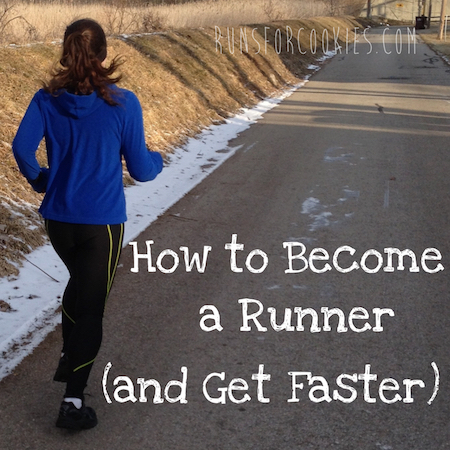 I fell in love with running, and kept increasing the distance until I had run a full mile. Once I hit 170 pounds, I plateaued; I could not get my weight to go down. I was running a couple miles at a time, and working up to more, but my weight would not budge. My brother suggested I try P90X workouts, and while I did not think I would be able to keep up with it, I committed to the 90-day routine. I fell in love with P90X, and although it was the hardest thing I had ever done, I stuck with it. By December 2010, I had hit what was my goal of 155 pounds; but I was still miserable, because I had loose skin on my arms, stomach, chest, and legs. I felt like a giant deflated balloon. I refused to wear t-shirts or shorts because I was so embarrassed of the excess skin. I also still could not see myself as a "normal weight" person; with all the skin hanging off my body, I still felt huge. I looked into skin removal surgery, but it was expensive, and I was nervous about having surgery. I continued running. 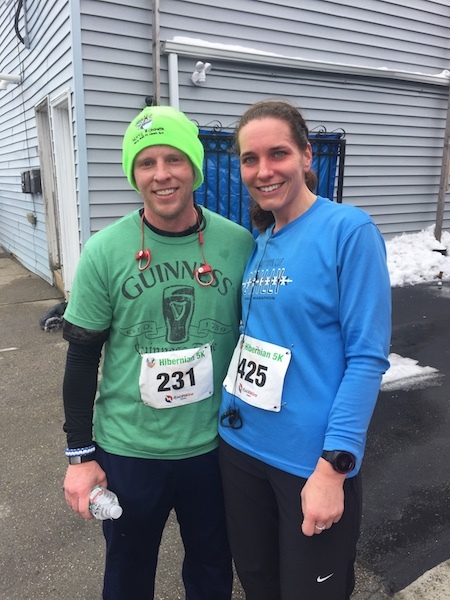 My older brother convinced me to enter a 5K; I finished in just under 30 minutes and fell in love with racing. In September 2011, I ran my first half-marathon, and loved it! I decided to try again in November 2011, and after learning more about half-marathon running, managed to shave 16 minutes off my time. In late 2011, after maintaining my weight loss for almost a year, I met with a surgeon, and scheduled my skin removal surgery for January 2012. I had the surgery (the doctor removed 12 pounds of skin from my body!!!) and after a long recovery, resumed my running in April of 2012. I ran two more half marathons that year, and entered a lottery for a full marathon, figuring if I was selected, then it was "meant to be". I was selected, and ran my first marathon in October of 2012. 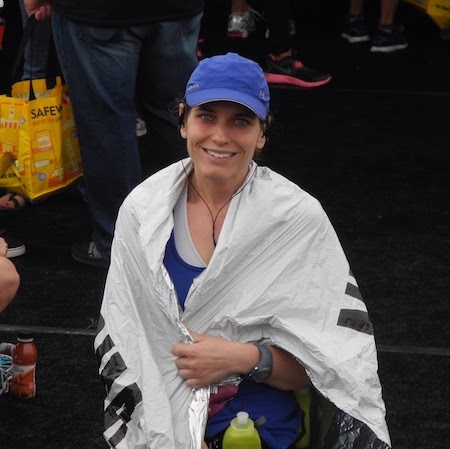 After completing the marathon, I wrote Katie to tell her how inspirational I found her. I had originally found her blog when researching skin removal surgery, and continued reading. I was following her marathon training while training for mine. I am so glad I sent that email, because she invited me to join the Ragnar SoCal team--getting to know 11 new amazing people! I love to enter and run races. 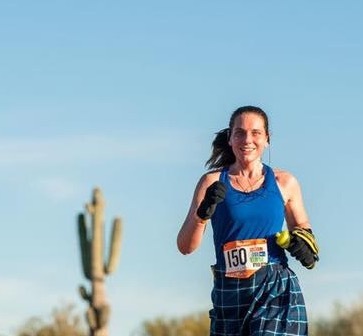 I ran my second marathon in Chicago last month, and have done mud runs, half-marathons and 10Ks. I am trying to get up the nerve to do a Tough Mudder but jumping into dumpsters of ice water and possibly being shocked by live wires has deterred me so far! 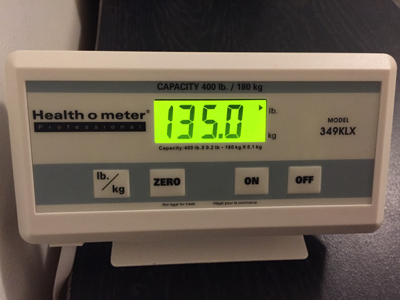 I have maintained my weight of 145 lbs since recovering from surgery - maintenance isn't always easy, but if my weight goes up by more than 2 pounds I look at what I have been doing and adjust so I do not continue to gain. 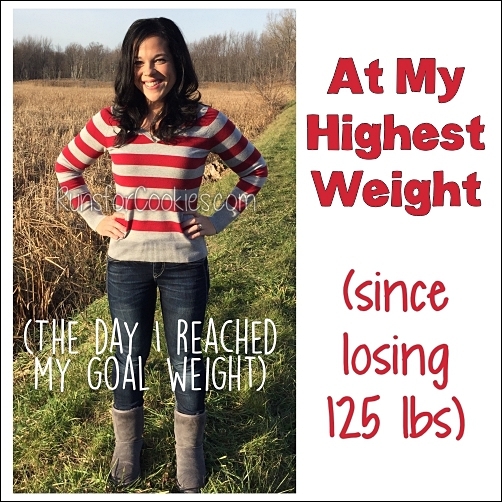 I taught myself healthy habits throughout my weight loss journey, and continue with them today." 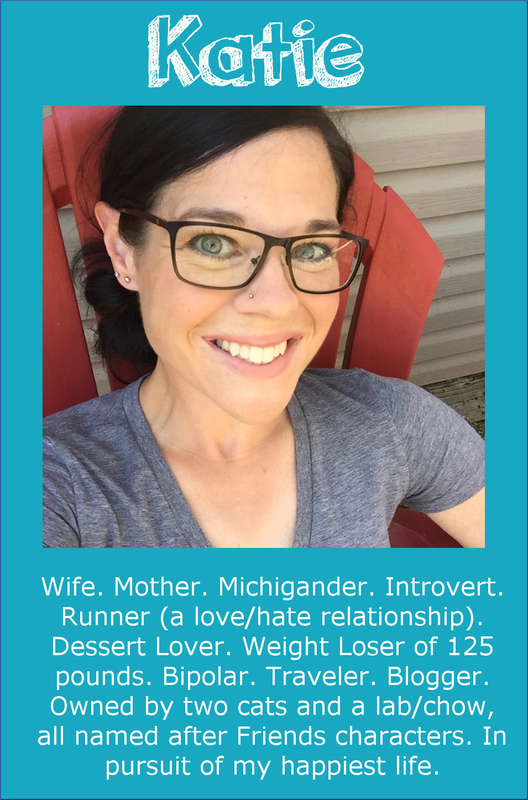 "Hi Runs for Cookies readers! Katie asked if I would provide a quick update of the past three years since my guest post. My weight has remained mostly stable; recently, it has gone up about seven pounds and I am working on getting back to where I am happiest. However, I have maintained my weight within a 5-7 pound range all these years. With my boyfriend, Joe, who runs as well! I eat a pretty healthy diet and like to stick to a rotation of healthy breakfasts and lunches that I enjoy. I feel best and perform better athletically when I choose whole grains, fruits, and veggies. I still love to bake and would rather enjoy a "real" treat once in a while than to eat the junk I used to fill up on. Almost two years ago, I unexpectedly lost my father (who I was very close with) and I was devastated--it was a very hard time for me. 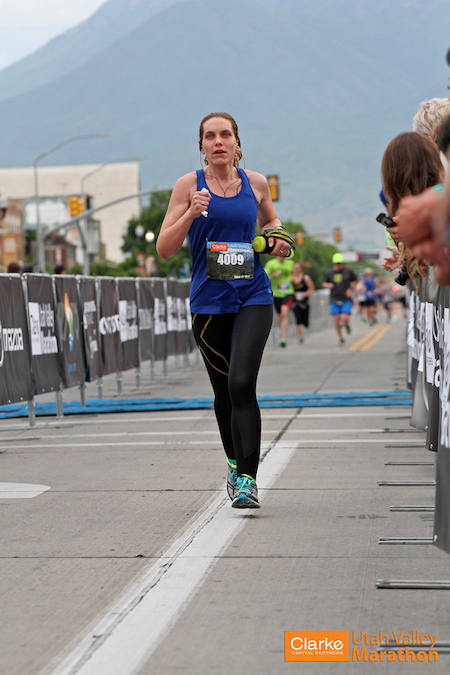 Instead of using food for comfort, I used running as a form of therapy to help me get through it. Looking back, I see now that I was running too much and pushing too hard while not fueling properly. I was pushing hard in training and races which helped me to momentarily escape the pain of losing my dad. I hit PRs in the 5K (21:24), 10K (49:23), and half-marathon (1:47:11); but in doing so, I ran myself ragged and lost the joy I found in running. I continued to run but without goals or any real speed work. I am working on getting to a better place and have started to enjoy running again. I look forward to training hard again, but this time making sure to take care of myself at the same time. Even with a break from running, I still continued with yoga and weight training. Yoga helps keep my mind clear; and I look and feel better with regular weight training. I am not a beach body coach and have no stake in the company, but I love their workout programs--anything Tony Horton does is my favorite. P90X and 22 Minute Hard Corps are awesome. I do not, however, use any of the performance line or their shakes--the workouts are awesome enough. Getting to meet Tony Horton! Working as a cross country coach for a middle school also helped me find my love of running and the joy in it again. Running with the kids and seeing their joy and pride at working hard and improving their times made running fun again. I, like Katie, am still very happy with my skin removal surgery and would do it again. It made a huge difference in my quality of life and confidence. The last three years have had many ups and downs for me, and I experienced the hardest loss of my life. To this day, I still have difficult days and days where being in a world without my father seems impossible. I am glad that through the weight loss and years of maintenance, I have learned healthier ways to deal with my emotions. To anyone struggling or wanting to lose weight, it is hard work but if I can do it on my own anyone can!" I am so so so proud to call Caitlin a friend. She has now been maintaining her weight for seven years! And not just the "Katie kind of maintaining", where it goes up and down by 30 pounds, hahaha. 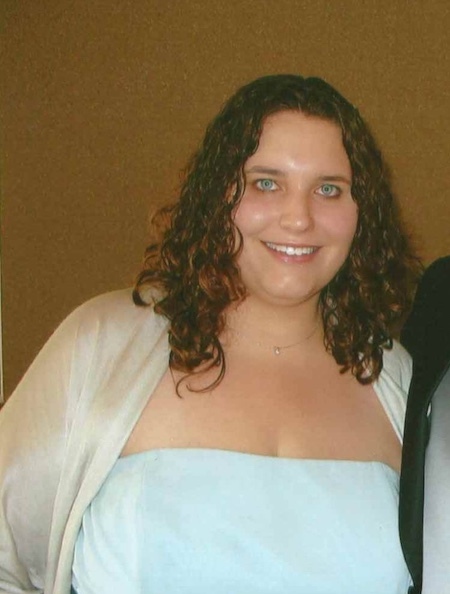 To lose 240 pounds on her own and maintain a 5-7 pound range for 7 years is truly an anomaly. Caitlin....you are SO inspiring. I, too, lost my dad unexpectedly 2 years ago. I did the opposite of you, though, and soothed my grief with food. Now, I'm trying to get healthy. I've lost 43 lbs and am excited about my health journey. Stories like yours and Katie's are wonderful motivation. Thank you! You write from your heart which is a true gift. Thank-you for sharing your story. Amazing Caitlin....I guess I missed your first guest post way back when but I am glad I got to read this one plus the update. Keep up the good work! Thank you for your incredible story...you have really inspired me! Not just with your large weight loss, but with the maintaining of it. That has always been my downfall. You and Katie have figured out what works for you and maybe it will work for me, too. Right now, I've lost 45 and have 95 to go to get to my goal. Stories like yours give me such hope...thank you for sharing! What a great story. I struggle with 15 pounds constantly... it's so frustrating. I'm just curious Caitlin, do you still count calories for maintenance? Thanks! Wow, thanks for sharing that Caitlin. An amazing story, I'm so impressed you've managed to stick to that weight range over all that time. It's very inspiring! I am so sorry about the loss of your Dad. My Dad also died unexpectedly, just over a year ago. I miss him every day. Caitlin, Thank you for sharing your story! It is truly an inspiration! Maintaining for me is always the hardest and it sounds like you have done an amazing job! So sorry for the loss of your Dad. I lost mine over 20 years ago when I was 20, the pain lessens over time but the memories are always there. I'm glad you have found some healthy ways to cope. I have tears in my eyes reading Caitlin's story. Thank you for sharing.